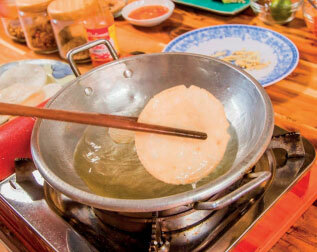 Come and do a cooking class in Mui Ne, and get an insight into traditional Vietnamese Cooking! 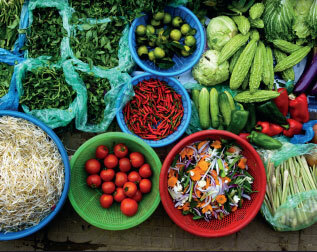 You will learn how to prepare and cook some of the many wonderful cuisines Vietnam has to offer. You can also join a guided trip to the market, experiencing first hands on how to get a bargain for the freshest fruit and vegetables of the day. 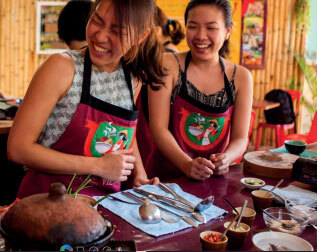 Back at the cooking class, our skilled local chefs will guide you through the hands on preparation of 4 authentic Vietnamese dishes - and once you have finished cooking, you can sit down at to eat your creations with your fellow chefs.